Small, unexpected vendor costs from the cake-cutting fee to extra edits can add up quickly and set you over your budget. At our North Georgia vintage venue, we love when our brides get creative with our industrial space. Each vendor helps bring your wedding vision to life so it’s so important to make sure you get the details from them so you can stay within your budget. We’re sharing 4 unexpected vendor costs below! The caterer. As an incentive for brides to order their cake in-house, some venues will charge unexpected vendor costs, such as a cake cutting fee. These charges can range anywhere from $1.25 to $1.75 per slice. This fee essentially covers the cost for the venue to cut and serve your guests. Check to see if the venue has a preferred vendor list to help reduce this cost. Brides can also get creative with their dessert choices, such as pie bars + cupcakes, to avoid the cake cutting fee. At our blank canvas venue, we include the cake in the package– that way our couples get special pricing right off the bat! 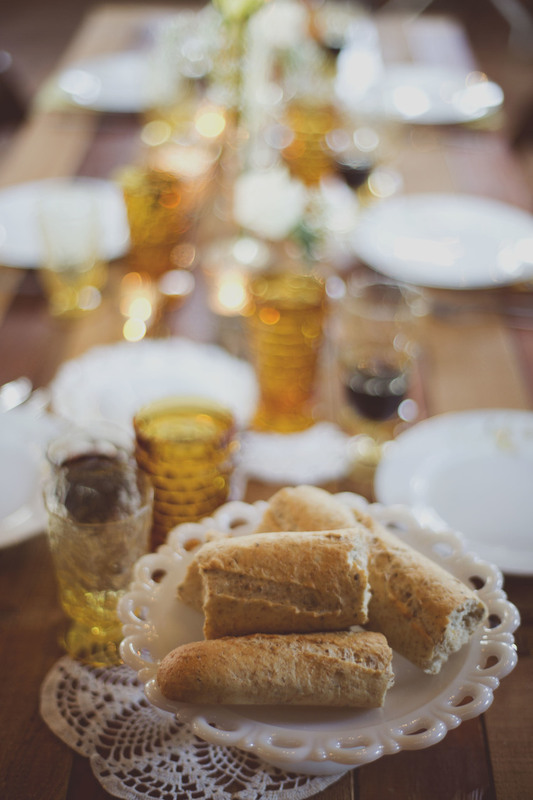 Often, venues will require a minimum of foods + beverages to host your event in their space. If these costs are not accounted for, you won’t be able to accurately create a budget and it could set you over your catering budget. To avoid this, make sure you talk with your venue to see if there is any food + beverage minimums or any other catering fees they might charge. The bridal store. After falling in love with the dress of your dreams that falls right in your budget, you may be surprised when you end up spending more than the price tag lists. Often times, with the dress price comes alteration fees + the cost of undergarments. These fees can add up and put you over your budget if you don’t account for them when making your budget. You can avoid these fees by buying a dress with built-in garments or off-the-rack. The photographer. Another place couples can find unexpected wedding costs are from their photographer. Make sure to ask those you’re considering as photographer if they charge any extra fees for editing additional images, receiving all photos, or getting them in multiple formats. It’s important to account for these costs when looking at your budget for photography. Don’t forget about the venue! The venue. Always ask to see the venue’s preferred vendor list, even if you already have an idea of which vendors you would like to use. Not only is it great to consider preferred vendors because they already have relationships with the venue, but unexpected cost can arise if the venue charges a fee for not using a preferred vendor from their list. 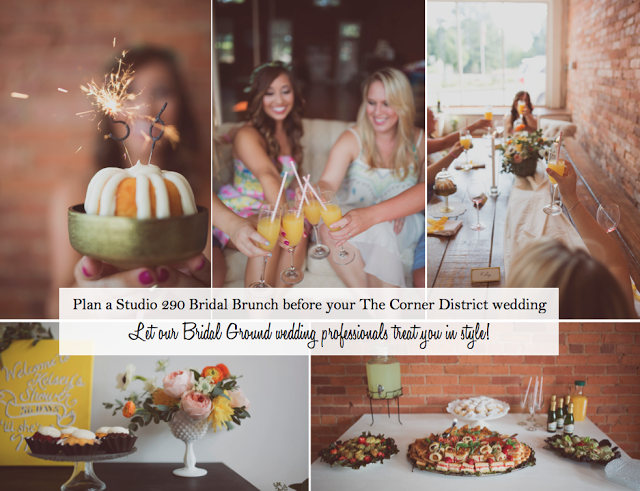 At The Corner District, we love to help the budget-savvy bride, that’s why we don’t have any fees for not using our preferred vendors. At The Corner District, one of our favorite parts of the wedding planning process at our North Georgia wedding venue is getting to help our couples pick the perfect vendors to bring their vision to life! Because of the relationship with our preferred vendors, we have negotiated lower costs for some packages. We have negotiated packages with vendors including DJ, some florals, and catering. Brides, did you face any other unexpected costs, and how did you avoid or deal with them? We’d love to hear from you! 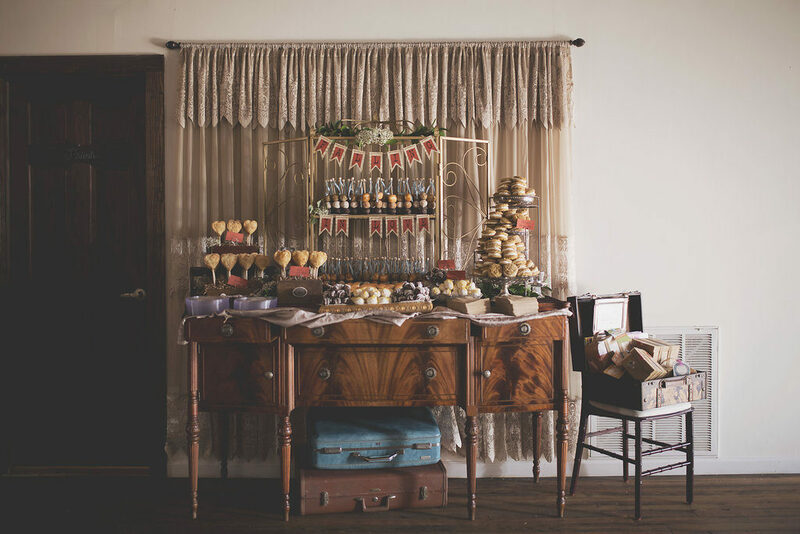 At The Corner District’s vintage warehouse and parlor wedding venue, we know that weddings come in all styles and sizes! Every couple and every wedding is different, and we love when we get the opportunity to serve brides and grooms whose Atlanta wedding vision might not fit the traditional wedding scene. That is why we have created the Pop Up Wedding Package at The Corner District! We’re sharing four benefits of the Pop Up Weddings Package at our North Georgia wedding venue. Intimacy. 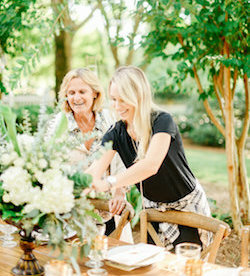 The Pop Up Wedding Package at our Georgia wedding venue was created to celebrate marriage in its truest, most imitate form! We know that not every bride + groom want a large number of guests at their wedding, and that’s why we like to think of our Pop Up Weddings as a fancy elopement package for our couples. Surrounded by 20 of your closest friends + family, you and your significant other will be able to celebrate your love and marriage in an intimate way with those you feel closest to. Our Pop Up Weddings allow you to have more one-on-one time with your guests + personally thank your friends and family for helping celebrate your special day. Style. These Pop Up Weddings at our eclectic venue are not just on a smaller, more intimate scale, but these weddings are also styled to fit the individual couple. These weddings are highly styled to capture the essence of the couple + their love. At our blank canvas venue, we highly value creativity! We know that every couple + every love story is unique. We work with you to make sure that your Pop Up Wedding uniquely captures your style. As you decide what the most important elements of your wedding are, we work with you to make sure that your intimate celebration fulfills your wedding vision! Amazing photos. Just like at every wedding, the bride + groom will want priceless photos to remember their highly styled and intimate Pop Up Wedding! That’s why we have included wedding photography in our Simply Styled Pop Up Wedding Package. Carrie Reagan Photography will spend the day capturing your wedding as it unfolds, preserving the true moments that happen spontaneously. At such an intimate + beautiful celebration, these special and spontaneous moments are sure to happen! Budget-friendly. Our Simply Styled Pop Up Weddings are perfect for the budget-conscious bride + groom! As a part of your fancy elopement package, we deliver your unique wedding vision in a big way, but on a smaller scale. You decide what the most important aspects of your day are – and we’ll bring the party to you! We are passionate about offering affordable weddings for those who may not have been ordinarily able to afford all the traditional wedding costs. At our North Georgia wedding venue, we want to create a wedding that celebrates our bride + groom in the way that best fits their wedding vision! Our Simply Styled Pop Up Weddings Package is perfect for brides + grooms looking to uniquely celebrate their special day! Inquire here for more details and pricing information. Wedding planning can undoubtably be stressful at times. Take a break and spend time with your girls relaxing in style at our North Georgia wedding planning space, Studio 290. Located right next door to The Corner District, this space is perfect for getting ready on your wedding day, taking beautiful portraits with natural light, or for enjoying an intimate event with your bridesmaids leading up to your wedding! 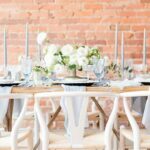 Our team of North Georgia wedding vendors would love to treat you during this most special time by helping you host a Bridal Brunch at The Corner District. Whether your wedding is next month or next year, our bridal brunches are available to all The Corner District’s booked and new brides. Simply contact us to ask about adding the Bridal Brunch option onto your wedding package. We will customize a Bridal Brunch (or lunch) menu for you and your bridesmaids + besties, including heavy appetizers, desserts, drink stations or a signature drink. 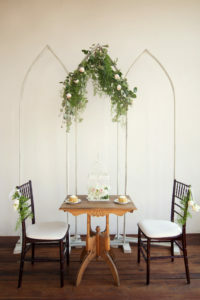 The result is a highly-styled event (like the above) that reflects your bridal style with decor, props, china and more. This option is also available for bridal showers, bridesmaids luncheons, and any other intimate bridal events! We have even hosted spa showers for an even more relaxing and luxurious experience. Whatever your vision, we can help bring it to life with a custom Bridal Brunch. Call 770-862-3537 or email us at info@thecornerdistrict.com for more information and pricing options! We can’t wait to celebrate this most special time with you. Happy wedding planning, friends! We love when brides come to our blank canvas North Georgia wedding venue with a wedding vision in mind that captures their unique style! So much goes into bringing a wedding vision to life, so it’s beautiful when each element of the wedding truly celebrates the bride + groom’s personalities! That even includes the food and how it’s displayed at the wedding reception. Today we’re sharing some of our favorite ways that brides have used unique dishes + displays to complement their wedding vision and make their wedding stand out! Dessert stations: Dessert stations allow for a variety of choices and flavors that your guests are sure to love! Although we absolutely love wedding cakes, not limiting yourself to just one dessert allows you to choose several individual desserts that combine the personalities and style of the bride and groom. Every dessert chosen – from macaroons to cake pops to donuts, helps celebrate the couple! Not only does everyone love a variety of desserts to indulge in, but dessert stations can be decorated to fully encompass your wedding vision. The table itself acts as another décor piece of your wedding! 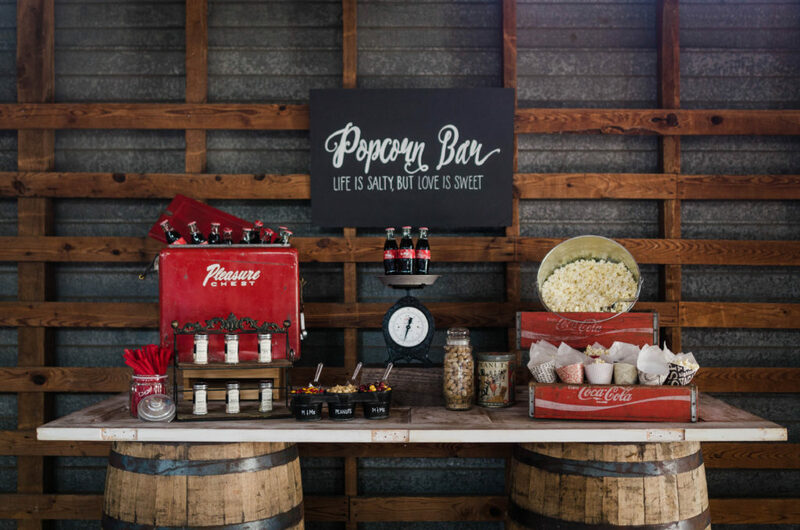 Popcorn bar: Popcorn bars are the perfect way to add salty snacks into the wedding mix at our charming vintage Georgia wedding venue! Your guests will love getting to personalize their food as they add toppings + seasonings to make it just right for them. You can even add chocolate and candy toppings to please your sweet-tooth guests. Popcorn bars are a cute way to get your guests involved with this simple, fun activity! 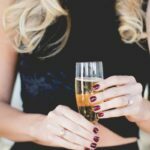 Food trucks: Food trucks are a fun, unique and currently super trendy way to have your wedding food fit your theme! 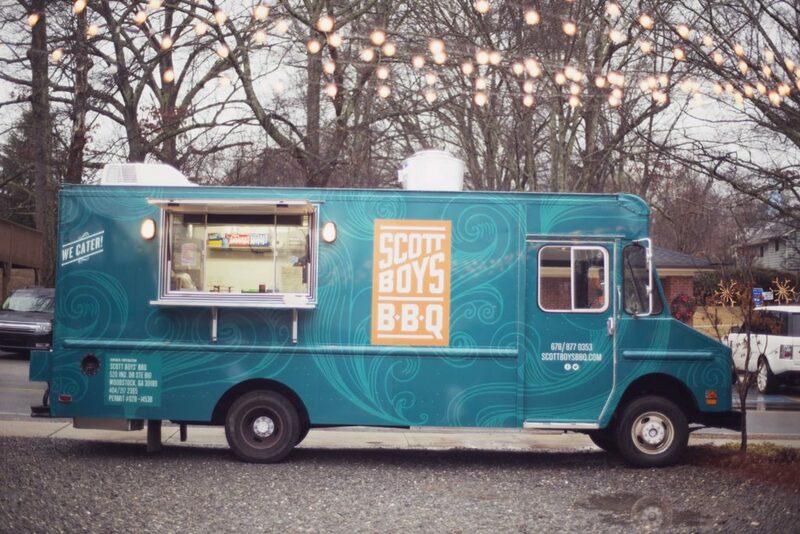 From Mexican to Italian to American, there’s a food truck for every type of cuisine that your guests are sure to devour. They are especially great for brides going for a more casual, laid back party feel! Plus, the variety of food trucks offer meal options that might not be offered by the traditional wedding caterer. Another benefit of food trucks is that they can also be budget friendly for the savings conscious bride. 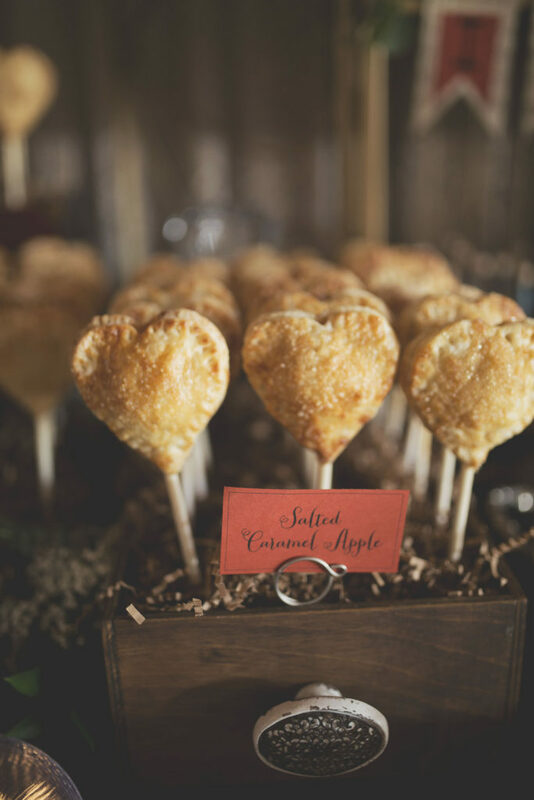 Pie bar: At our rustic + eclectic Atlanta area wedding venue, we love to see pie bars that mix a variety of flavors in such an elegant way! The different types of pies chosen can be used to complement a variety of wedding visions, from a warm traditional feel to an elegant, chic vision. Pie bars are especially good for helping capture wedding visions at holiday weddings! From pumpkin pie to eggnog pie, your guests will love your desserts that will complete your holiday wedding style. Our favorite part about each of these food displays is that no two will be the same! At our eclectic venue, we value creativity + uniqueness. 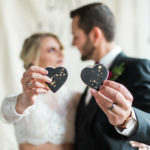 We think it’s so important that each couple feels that every aspect of their wedding, including the food, helped celebrate them as a one-of-a-kind couple! Weddings are personal and will differ from couple to couple, and that’s what we love about them. We hope these food displays will give you some creative inspiration as you consider how you want to capture your own style for the big day! Summer weddings at The Corner District are perfect for dancing the night away and mingling under a canopy of string lights in and around our antique warehouse. As you and your guests enjoy celebrating your special day, it’s important to stay hydrated during the festivities (especially if alcohol will be served). Make sure to provide for you + your guests so that you have the wedding of your dreams. Hydration stations are perfect for offering your guests easily accessible refreshments and can be elegantly decorated to complement your wedding style at our rustic venue! Infused waters can spice up not only your hydration stations, but your wedding as well. Your guests will love the flavorful and beautiful fruit combinations! We’re sharing four infused water recipes that are sure to be a hit at your unique and eclectic North Georgia wedding! Each recipe makes one gallon and remember adding ice will increase the volume as it melts during your event. 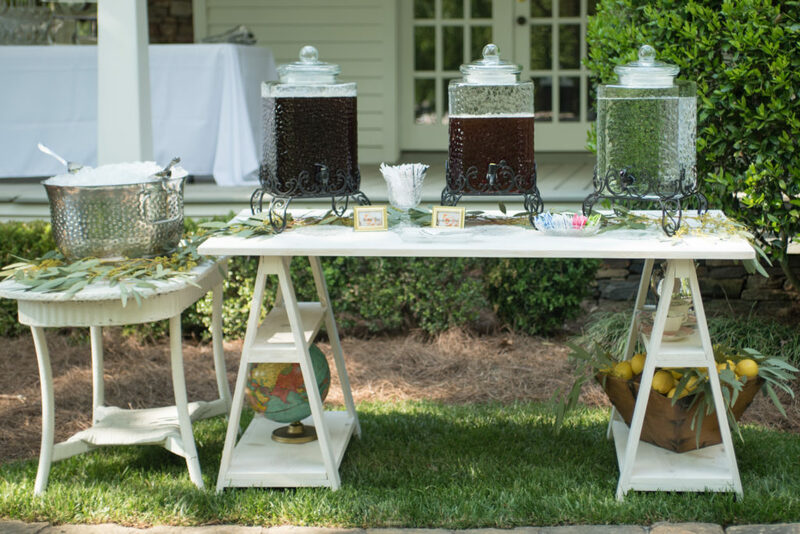 Brides and grooms – or caterers – do have any tips for hydration stations or did you use them to decorate your own Atlanta outdoor wedding? We would love to hear!